In a bid to provide a higher quality of education in schools and kindergartens in Central Romania, an ERDF-funded project will carry out work to improve learning for children across the region. According to the general director of the Central Regional Development Agency of Romania, Simion Crețu, schools in the area are currently experiencing problems of overcrowding. This has resulted in educational activities being carried out in unsuitable buildings and conditions, which include a lack of desks, tables and chairs and other essential equipment required in an adequate education environment. In response, an ERDF-funded project is supporting the upgrade of 6 schools and 34 kindergartens in the central region of Romania with over EUR 12 million in funding. The project will finance more suitable, accessible and high-quality facilities in order to provide students with the high-performance educational system they require. This will include rewiring electrical installations, installing low-energy LED lighting, sensor washbasin taps, motion sensor lighting, and thermal insulation, and replacing the heating systems. 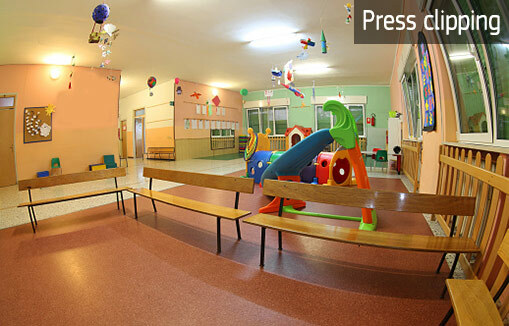 As for the kindergartens, the project will fund the purchase of new equipment, the rehabilitation of buildings and even the construction work for new buildings. Simion Crețu hopes that this will be a good way to show parents and children alike that European funds are being directed towards achieving better quality education across their region.